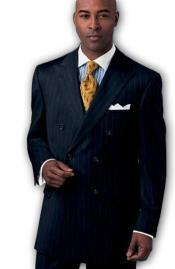 Double breasted suits come in all the bright colors as you will find in any traditional suit as well. 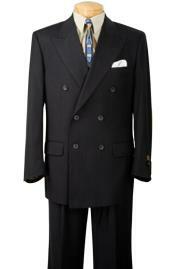 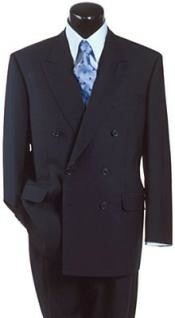 For example, a royal blue double breasted suit makes a loud statement that you are not just someone that plays it safe. 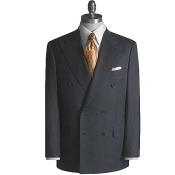 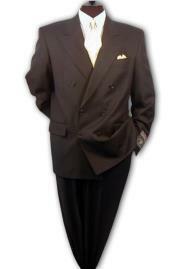 Double breasted suits in a variety of colors are available for any occasion and will have your event looking great. 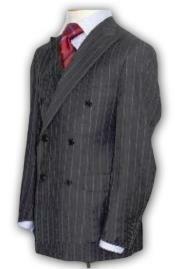 Red double breasted suits are very popular around Christmas time and will make put you center stage at your office party. 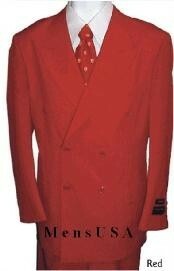 The red double breasted suit is a true classic! 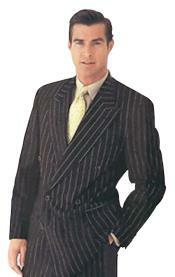 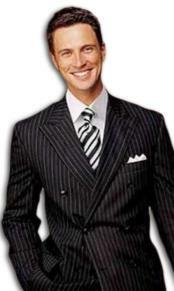 Double breasted suits in pinstripes are always a great way to look your best and be unique at the same time. 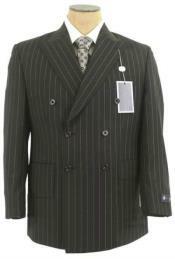 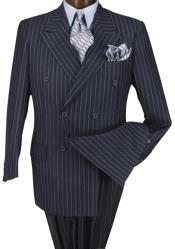 Bold pinstripe double breasted suits are often referred to as a chalk stripe and are perfect for those theme parties from the gangster days. 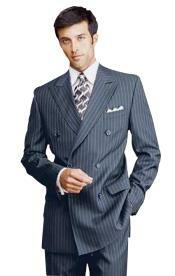 A gangster suit is associated with bright white pinstripes and a double breasted suit will not disappoint! 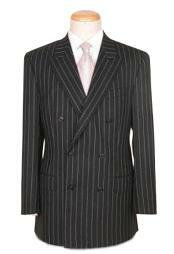 Double breasted suits in a variety of pinstripes can really make for a great period wedding as well. 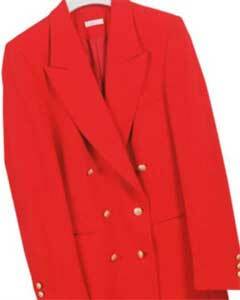 Weddings should be a fun event and why not dress up for a period themed event for some great pictures and fun. 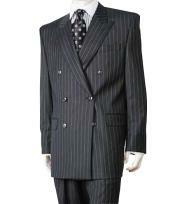 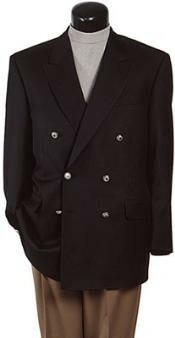 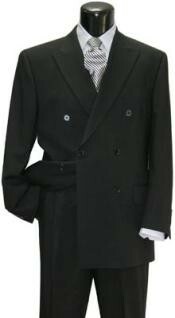 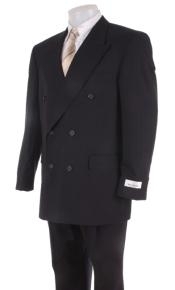 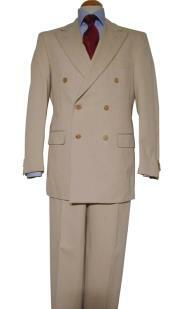 A double breasted gangster suit will leave an impression that will last for years to come! 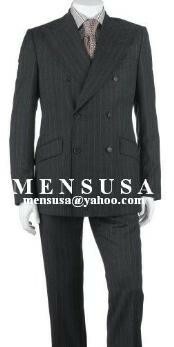 Double breasted suits also come in what is called a fashion suit which is a little more daring and colorful. 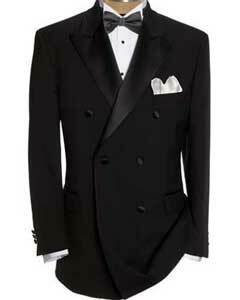 A fashion suit can turn a dull event into an event to remember for the ages. 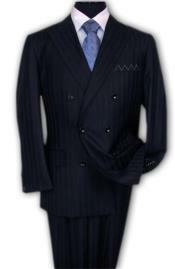 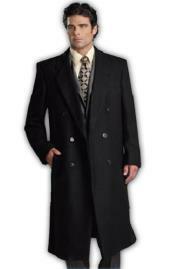 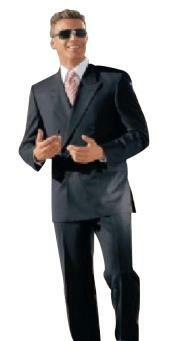 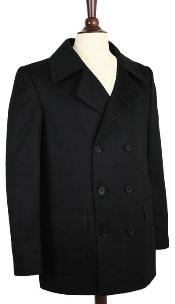 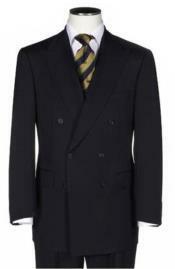 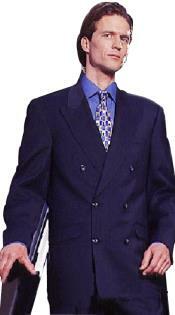 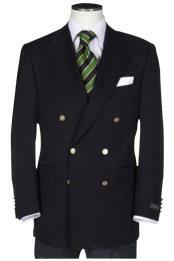 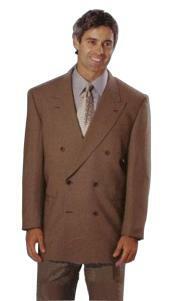 Some fashion suits are available in a double breasted style and will leave a lasting impression. 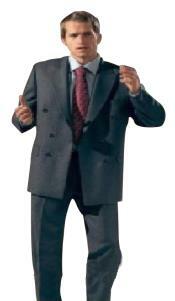 So as you can see, a double breasted suit is available for just about any occasion that you can think of!